What Makes Santa Margherita Ligure so Unique? When travelers in search of luxury, culture and stunning Italian beaches plan upcoming vacations, they are often drawn to the beauty of Liguria, the state in Northwestern Italy. This region is home to popular vacation spots and playgrounds for the rich and famous, but the hotspots of Genoa and Portofino aren’t always the best home base for your trip. 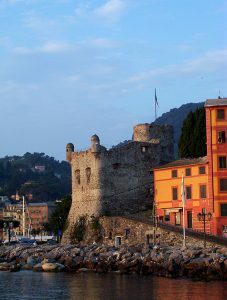 Insiders know that one of the best places to visit in Liguria is the beautiful coastal town of Santa Margherita Ligure. The following five reasons are just the highlights, but they serve as an introduction to what makes Santa Margherita Ligure so great for visitors. 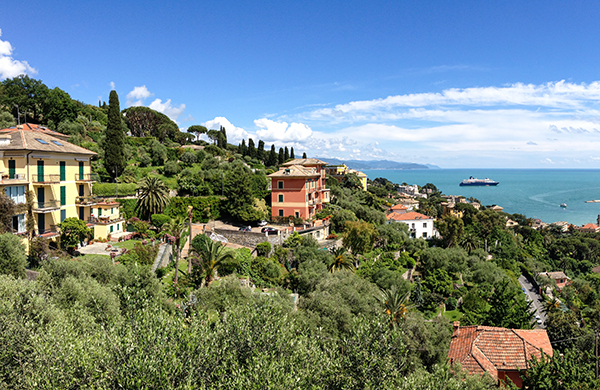 For those in search of culture and architecture, Santa Margherita Ligure is an incredible choice for a vacation. Villa Durazzo, for example, is an enormous manor built in the 16th century that boasts large manicured gardens and stunning views over the sea. If you’re feeling particularly indulgent, you can sip a glass of wine and order a cheese platter from the manor’s patio while you soak in the views. Nearby is the Santuario di Nostra Signora della Rosa, a baroque church decorated with stained glass, lavish gold leaf and amazing chandeliers. Travelers who want to plan a summer vacation to the beaches of Liguria might be surprised at just how expensive certain locations can be. However, it is important to look beyond the hotspots and consider those destinations just a few minutes away. Santa Margherita Ligure, for example, is just 10 minutes from nearby Portofino, but hotel rates are often half the price, making it ideal for travelers on a budget. Since Santa Margherita Ligure is so conveniently located in the heart of Liguria, is serves as the perfect base for day trips throughout the region. Genoa, the bustling city full of historic significance, is just a 35-minute drive away. Portofino, with its lavish resorts and endless yachts, is just 10 minutes away. If beaches are what you are after, then Santa Margherita Ligure certainly won’t disappoint. There are a combination of public beaches, which are free for anyone to use, and private beaches, which charge a minimal admission fee. However, even the private beaches are often a great deal because they provide umbrellas and even sun loungers for you to use while you soak up the sun and take a dip into the refreshing water of the Ligurian Sea. Finally, travelers should know that Santa Margherita Ligure is one of the quietest and most peaceful destinations in Liguria. You’ll have access to stunning beaches, you’ll be able to walk along the waterfront on paved sidewalks and you’ll have your choice of amazing local restaurants, but you won’t be forced to deal with the high-season crowds found in other coastal Italian destinations. Santa Margherita Ligure is an exceptional vacation destination for anyone craving the warmth, beauty and culture of Italy without the crowds or the big expense.